Why isn't this working as expected? Do I need to create a custom format for every single cell? 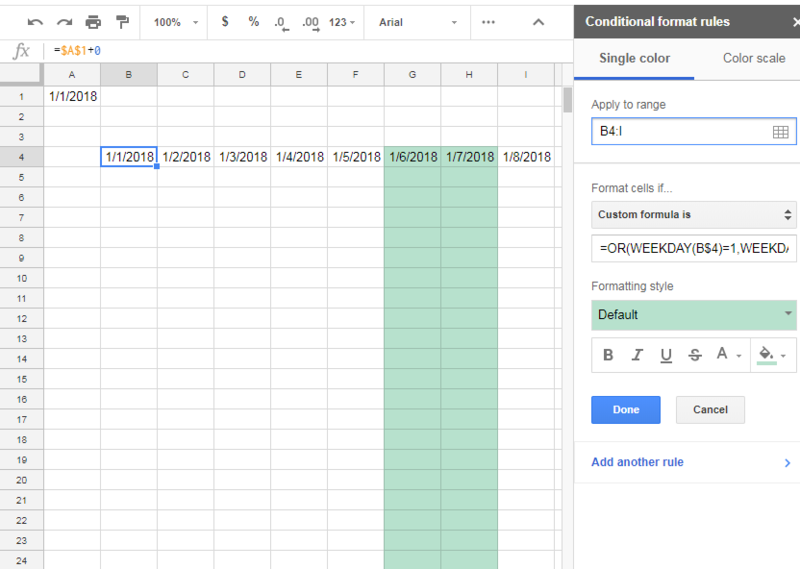 That would be a huge letdown, especially, when copying a cell with conditional formatting, this cell is simply added to the range. you need to lock it down with $ symbol otherwise it will be offset (like in your case) or not working as it should. Not the answer you're looking for? Browse other questions tagged google-sheets conditional-formatting google-sheets-cell-format or ask your own question.